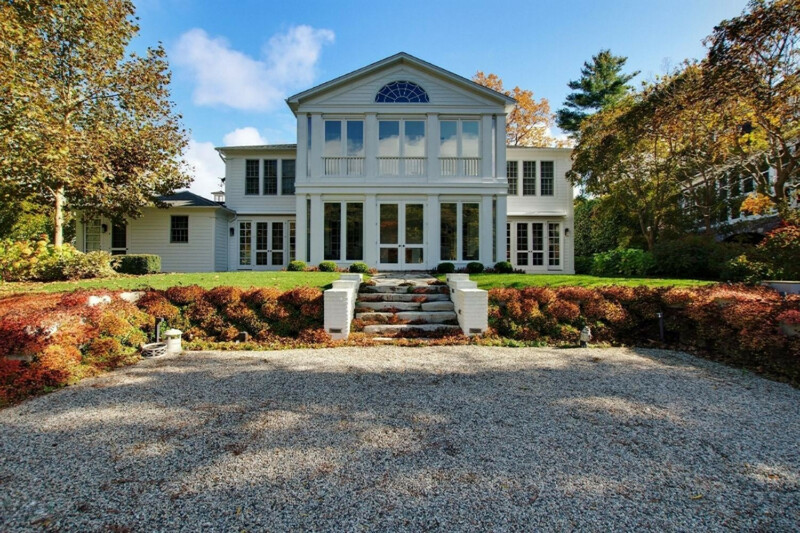 Modern Waterfront Greek Revival: An open concept home that is perfect for entertaining both inside and out. The main level features Wisconsin flag stone flooring throughout the living area with a gas burning fireplace between a full wall of windows. The gourmet kitchen offers Sub-Zero, Wolf and Bosch appliances, a butler's pantry and wine bar, custom crafted cabinets and gorgeous Calcutta gold marble countertops. This ?Sonos Smart Home? includes power controlled solar shades, a surround soundaudio system, alarm system, and a hidden flat screened television and whole house generator. Step through the soaring French doors into the four-season porch featuring a gas burning fireplace and radiant floor heat to enjoy the dramatic views, beautiful terraced patios and professionally designed gardens. The en-suite master bedroom features a gas burning fireplace, a beautiful custom marble master bath, walk in closet and a private 3 season porch.